Young couple announces to public that they successfully aborted their baby! This is insane! Home / Life / Young couple announces to public that they successfully aborted their baby! This is insane! We all know for a fact that these days, more and more teenagers are getting engaged with premarital interc*urse with their partner. Most of them think that it's fine to do IT with their partner just because everybody else is doing it. What makes the situation even worse is that when IT resulted to a baby. When teen couples accidentally created a life, most of them will say that they aren't ready for such big responsibility and that they would end up aborting it, which is a sin. 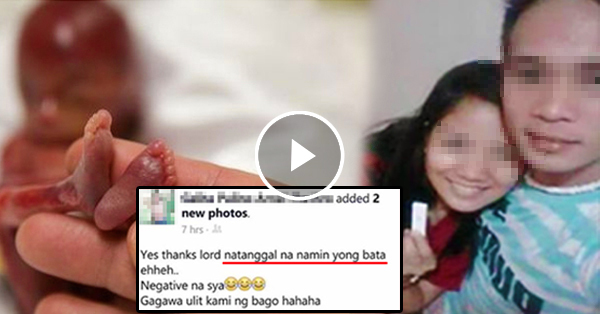 Now, photos of a young couple is now circulating online and has been making the netizens furious because of its content. 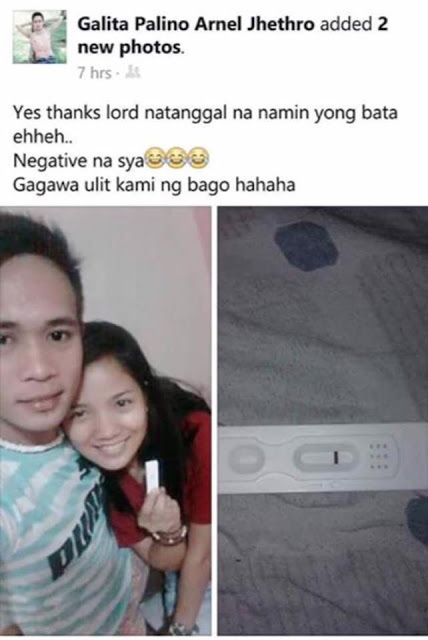 the man posted a photo of him along with his girlfriend and a pregnancy tester that indicates a positive pregnancy. 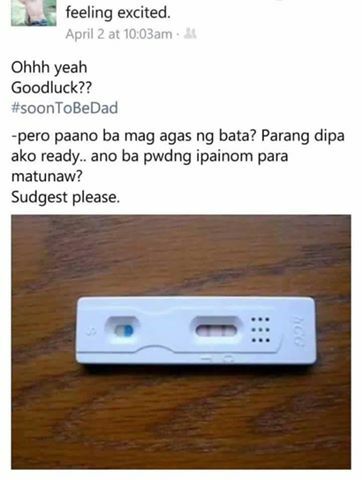 In the said post, he said that he's not yet ready for the responsibility and even asked for the netizens' suggestions on how they'll be able to abort the baby in his partner's womb. On the second post, he was smiling with his girlfriend and saying that the abortion was a success. This couple then received criticisms for what they've done to the innocent life.